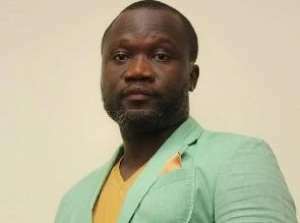 Ola Micheal who happens to be a panellist of Peace FM says the music industry is full of hypocrites. His comments comes after some issues arose from the recently held 3Music Awards where Shatta Wale scooped eight awards. 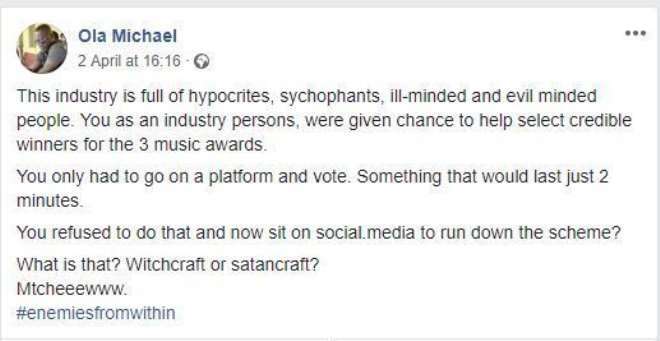 According to Ola Micheal, these industry players were asked to come on board and help select credible winners but they failed to do so but now degrading the award scheme on social media. “This industry is full of hypocrites, sychophants, ill-minded and evil minded people. You as an industry persons, were given chance to help select credible winners for the 3 music awards. You only had to go on a platform and vote. Something that would last just 2 minutes. You refused to do that and now sit on social.media to run down the scheme?